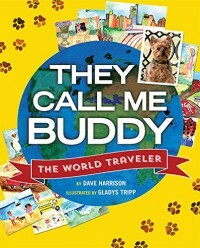 They Call Me Buddy takes you across the world with Buddy the dog, an Australian Silky Terrier, as he wanders off from owner to owner. The story brings you a tremendous amount of education on each continent. Teaching a student or child about various areas of the earth, becomes an adventure through the dog’s various relationships new people, children, and dogs. As an adult reader, you will even find yourself learning a great deal. Where will Buddy go next?